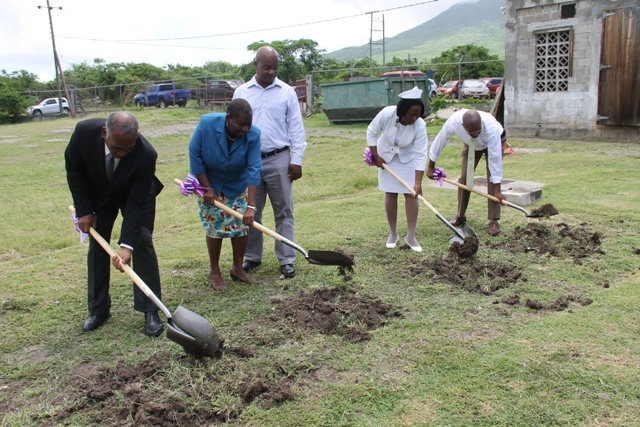 NIA CHARLESTOWN NEVIS (May 31, 2017) — A ground-breaking ceremony on the grounds of the Alexandra Hospital on May 31, 2017, paved the way for construction of an EC$18million expansion project at the hospital. 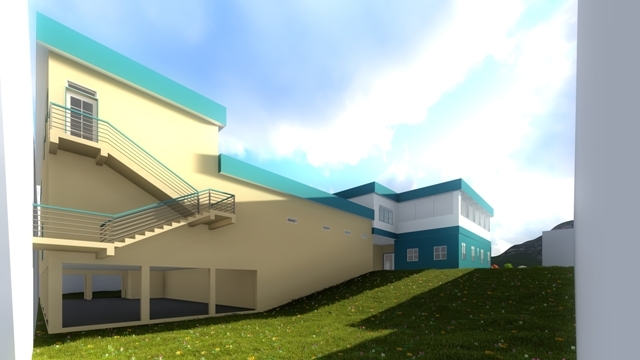 The project is being financed by jointly by the Sugar Industry Diversification Foundation (SIDF) with $9million (half are grant funds and the other as a loan) and the Nevis Island Administration (NIA). Permanent Secretary in the Ministry of Health Nicole Slack-Liburd, in her remarks stated that with health care financing as another building block of a strong health system, the NIA is well on its way in making the Alexandra Hospital along with its overall infrastructural development in health, the envy of health institutions in the Caribbean and the region of the Americas. 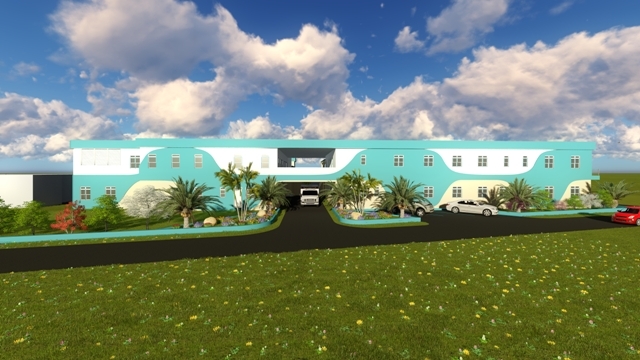 She said the ministry’s commitment to investing in the island’s health infrastructure and services in both public and intuitional health divisions, is the driving force behind the development of the Alexandra Hospital. The Permanent Secretary explained, that the expansion is one initiative that will improve health outcomes, a goal of the National Health Plan for 2017-2021. The plan was drawn up with information from health statistics which reflected a burden of disease in which non-communicable diseases such as cancer and diabetes which are ranked among the leading causes of morbidity and mortality. After several consultations with sectors of the health facility, a number of priority areas were determined. Slack-Liburd said the series of meetings identified immediate priority areas for relocation and service expansion. They included a state of the art operating theatre, expanded diagnostic capacity in the form of new laboratory and radiology departments with CAT scan services and specific lab areas for cytology and histology (which is useful in cancer diagnosis), a newly constructed dialysis unit and additional private ward facilities. She said the relocation of these departments will create much needed space and the separation of other areas of the hospital in particular the Accident and Emergency Department and Outpatient areas which are currently locates in the same area. Prior to the ground breaking ceremony, the Permanent secretary noted that a number meetings with those who would be involved in the construction of the expansion to ensure that everyone involved in the construction phase understood the quality standards that would be involved. 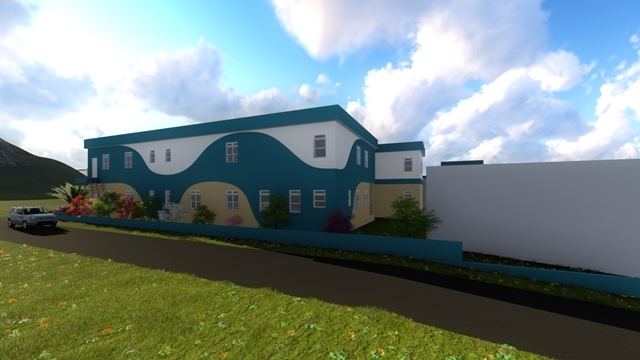 Slack-Liburd described the project as no small feat since it is an extension of the hospital at the same location and at the same time maintaining quality patient care. However, she assured that the necessary precautionary works are almost complete. Preparations have included the relocation of the Operating and Paediatric Ward, changing of doors, placing air conditioning units on various wards. The blocking off of corridors and the relocation of kitchens are expected to commence shortly. 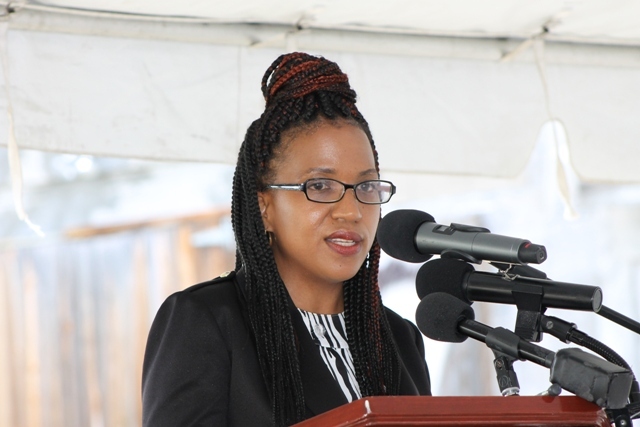 The Permanent Secretary publicly thanked the hospital’s management and staff, in patients and other hospital clients for their patience so far and the coming period of construction. Slack-Liburd said the expansion initiative would undoubtedly raise the islands performance in the area of health care when facility assessments are carried out, along with the recent advancements in hospital information systems in partnership with the Government of China (Taiwan). She also thanked the SIDF for its significant investment in the venture and for placing health high on the agenda of the nation’s development. Other remarks were made by Premier of Nevis and Minister of Finance Hon. Vance Amory, Deputy Premier and Minister of Health Hon. Mark Brantley and Chairperson of the SIDF Board of Counsellors Dr. Robertine Chaderton.